“I just finished reading your article “Private Mortgage Broker Reality” in the latest issue of Cash Flow and wanted to drop you a quick note. The message in your last paragraph–that note brokering is a business–cannot be said or heard too often by brokers and investors alike. I was moved to write, however, because that professionalism is evidenced in every aspect of your work. I’ve recently witnessed this first hand. We were short-staffed due to illness so I dusted off my own, rusty coordinator skills and processed transactions–including one of yours. Your package was complete, well organized and easy to follow. As a result, it moved quickly through the system. When I commented on this fact to one of the coordinators, she noted that your deals are always like that and that she’s never had to follow up twice on any issue because you take care of everything the first time. That sort of diligence makes our work easier and helps us to provide better service in return. Marnie Schroer, Production Executive, Metropolitan Mortgage & Securities Co., Inc. Your materials are excellent and very helpful, off the charts as a matter of fact. Your knowledge is like that commercial, “priceless”!!! Thank you for being you. T.W.I.T.A! 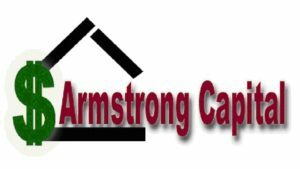 “…I just wanted to take a moment to thank Jeff Armstrong for all his help and support in walking me all the way through my very first note brokering transaction! For any beginners out there let me just say that Jeff is the real deal. No hype or fluff, he gives you the good, bad and ugly of the note business and doesn’t hold back any punches. Any materials you can get from him or attending one of his workshops will be the absolute best investment for your note brokering career. Here’s to ya Jeff, TWITA! “…I am so glad I was able to make it to your Secrets of Paper 201 class! I had no idea how much calculator proficiency would impact my ability to do notes. I was able to calculate a 30 yr amortization with a 10 year balloon by only a few numbers! I would have never dreamed that was possible…and I couldn’t have done it with out you! “…We attended the Nouveau Riche University in 2007 and 2008. One of the classes we attended was Seller Financed Notes taught by Jeff Armstrong. Jeff did an extraordinary job of instructing us on the subject. Best of all Jeff offered to mentor anyone who was interested in becoming a notes broker. Jeff lived up to his word. Since leaving the College we have been in contact with Jeff several times a week and he has been guiding us every step of the way to becoming a note broker. You do not get this kind of support with any other learning Institution I know of. Ever thing Jeff said was true. We started sending out mailings at Jeff Instructions, he said be patience and people would call. The calls started coming in faster than we could every imagine. We have several deals in the works at this point and we couldn’t be more pleased. Thank You Jeff. “This is a GREAT strategy especially in today’s market. Since taking your class last year, I’ve already expanded my real estate business by showing Realtors how powerful this selling strategy can be to their bottom line as well. I look forward to seeing you again very soon TWITA!!!!. Click here to email Jeff and see how he can assist you on your path to success in the Cash Flow Industry!